President Donald J. Trump places the Medal of Honor around retired Marine Corps Sgt. 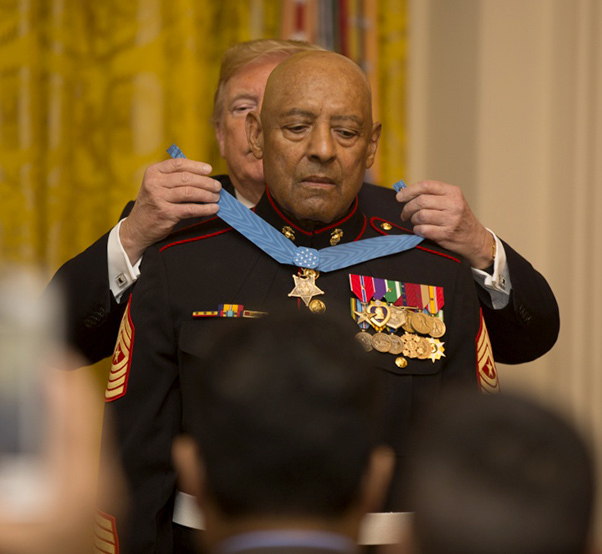 Maj. John L. Canley’s neck, the 300th Marine Medal of Honor recipient, at the White House, Oct. 17, 2018. 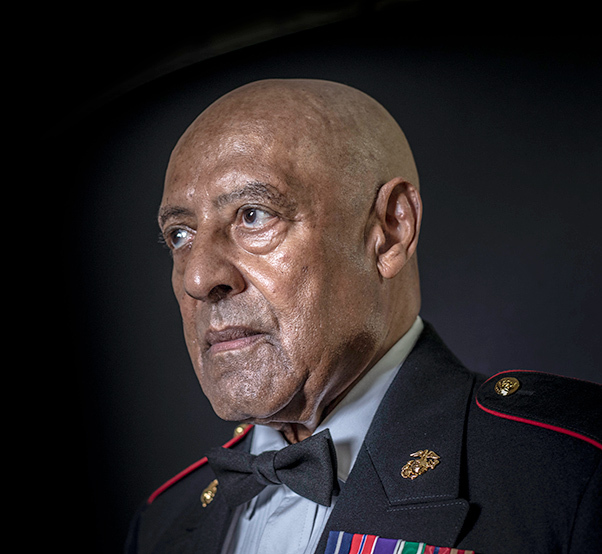 It’s been 50 years since John L. Canley, then a Marine Corps gunnery sergeant, led his company in a brutal weeklong fight against North Vietnamese troops, saving hundreds of people from harm during the infamous Battle of Hue City. On Oct. 17, he received the Medal of Honor for his actions. Canley received a Navy Cross two years after the battle, but many of the men who served under him thought he deserved the nation’s highest honor. After years of bureaucratic delays, their campaign succeeded. Now 80, and retired at the rank of sergeant major, he is the 300th Marine to have earned the nation’s highest military honor. The Battle of Hue City was one of the bloodiest battles of the Vietnam War. It was part of the surprise attack by North Vietnamese troops that’s famously known as the Tet Offensive. Canley was a gunnery sergeant for Alpha Company, 1st Battalion, 1st Marines, during a weeklong portion of the battle to retake the city. 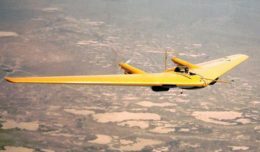 On Jan. 31, 1968, the company came across intense enemy fire. Canley ran through it, risking his life to carry several injured Marines back to safety. His company commander was wounded during the shootout, so Canley assumed command despite his own injuries. He reorganized the scattered men and personally moved through their ranks to advise and encourage them. A portrait of retired Marine Corps Sgt. Maj. John L. Canley, taken July 9, 2018. President Donald J. Trump presented Canley with the Medal of Honor during a White House ceremony, Oct. 17, 2018, for his heroic actions during the Battle of Hue City while serving in Vietnam. For the next three days, Canley and his company fought their way back into the city. Eventually, he led his men into an enemy-occupied building in Hue. Canley worked his way to a spot above the enemy’s strongpoint and dropped an explosive on their position, taking out several insurgents and forcing those who survived to run away. Two days after that, on Feb. 6, his unit tried to capture a government building. They suffered heavy casualties during the mission, but Canley continued to encourage his men forward until they drove the enemy out. Canley was wounded yet again, but he refused to let his injuries stop him. Twice during the fight, he was seen scaling a concrete wall in full view of the enemy to pick up fallen Marines and carry them to safety. Marine Corps Sgt. Maj. John Canley, a Vietnam veteran, talks with a Marine during a Vietnam Veteran Pinning Ceremony, Sept. 7, 2018, in Charlotte, North Carolina, as part of Marine Week Charlotte. 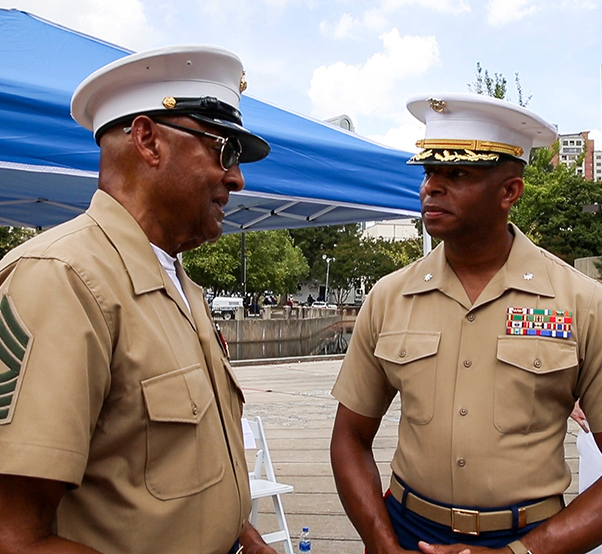 The ceremony not only honored Marines of the past but gave those currently serving an opportunity to meet the men who paved the way for them.